WASHINGTON (RNS) — Charles Haynes, a First Amendment scholar, has spent more than two decades helping schools walk the line between religion and state and advocating for the rights of people of a range of faiths and no faith. Over the past year, Haynes, 69, has been in the process of retiring from the Freedom Forum Institute’s Religious Freedom Center, continuing to serve as an adviser as he makes plans to write and volunteer in the future. The author and speaker says it “lifts his heart” when he can gather representatives of groups ranging from People for the American Way to the National Association of Evangelicals — along with Hindus and humanists — around the same table. He will be honored Wednesday (Oct. 24) at a ceremony at the Newseum. 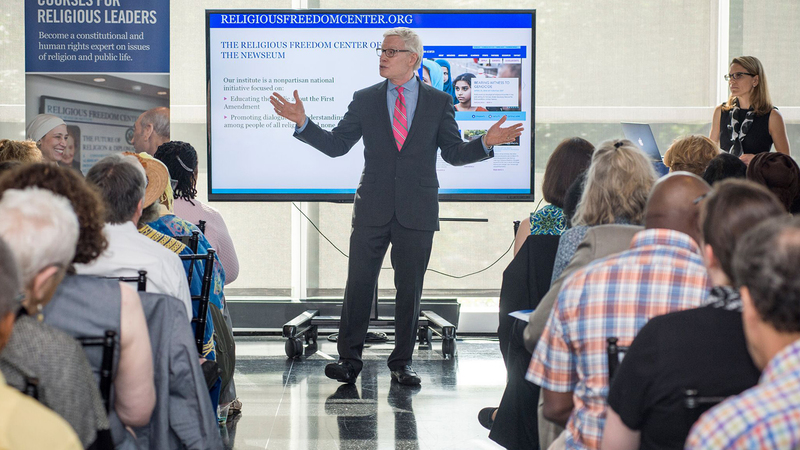 Haynes talked to Religion News Service about the state of religious freedom in the nation, his hopes and worries about its future, and his little-spoken-of personal faith. The interview has been edited for length and clarity. Oh gosh, there are so many reasons. I think the time has come for me to pass the torch to a new generation of leaders and to dedicate myself to guiding and mentoring as we transition into a new era in the work of religious freedom. I also, of course, have personal projects, writing projects and things that I would like to do. I thought this would be a good way to carve out some time for those personal things, but at the same time guide the center and its future.